This design was Harrison Butler's entry for a competition organised by the German Cruising Association. 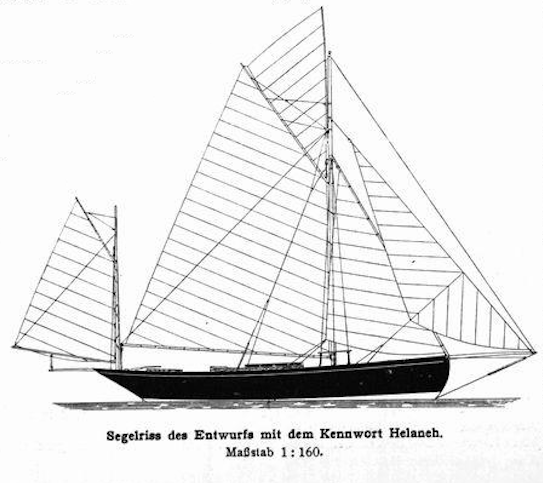 It was first published in the July 1912 German Yachting magazine Die Yacht and a couple of months later in Yachting Monthly, where the design name is omitted and the boat referred to as a 17 ton Auxiliary Yawl. 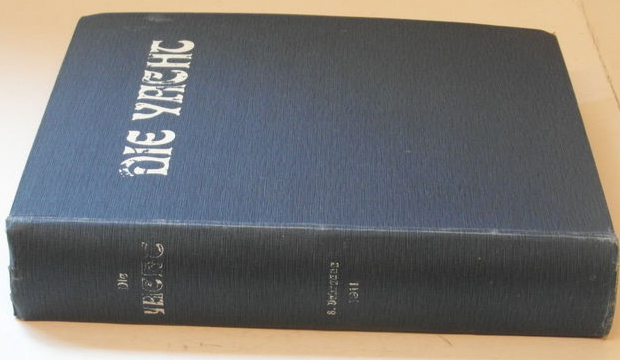 It was only when I managed to track down the original German article that I realised the design had the name "Helaneh". The design is of a relatively big boat, over 40 feet in length. The grace of the hull is emphasised by the lack of coach roof or dog house, both of which were considered inelegant in 1911. It is difficult to imagine this boat being built today without the extra space such superstructure gives to the accommodation. 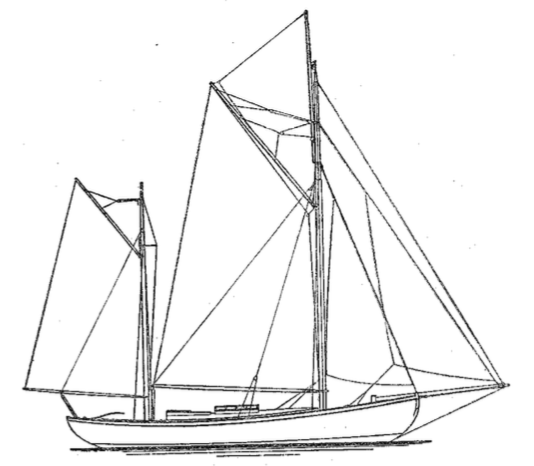 No boats have been built to this specific design, although the design is founded upon Claud Worth's famous boat, Maud. This came about because Harrison Butler drew many of the illustrations for Claud Worth's 1910 book, Yacht Cruising, included the design drawings of Maud. 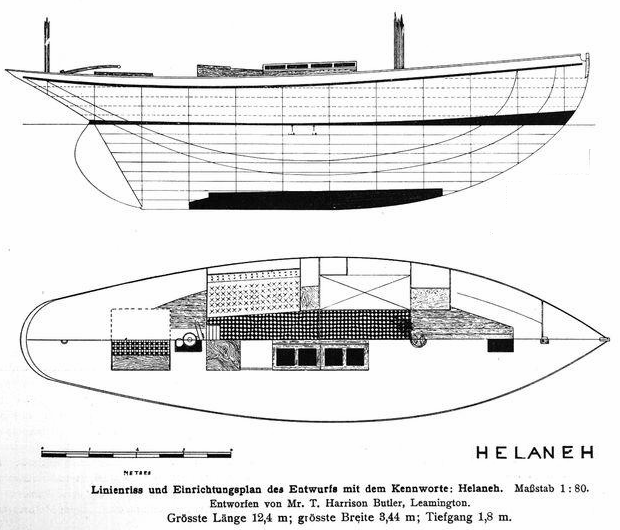 Maud's sail plan from Claud Worth's influential book Yacht Cruising. drew the lines afresh for publication in Yacht Cruising. the similarities, acknowleged by HB, are very clear.